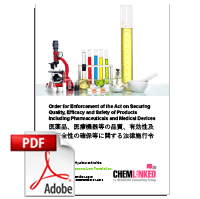 Cosmetic products in Japan are regulated by Ministry of Health, Labor and Welfare (MHLW) under the Pharmaceutical and Medical Devices Law (PMDL, formerly Pharmaceutical Affairs Law). 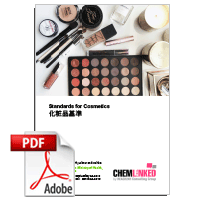 According to PMDL, beauty products are divided into cosmetics and quasi-drugs and regulation differs greatly between cosmetics and quasi-drugs. Quasi drugs are defined as articles for the purpose of preventing nausea and other discomfort, preventing heat rash, soreness, etc., encouraging hair growth or removing hair or exterminating and preventing mice, flies, mosquitoes, fleas, etc. Generally the quasi-drugs include deodorants, depilatories, hair growth treatment, hair dyes, perm and straightening products as well as medicated cosmetics, such as whitening products, anti-aging products and oily skin or acne treatment products. All quasi drugs are required to have mild effects on the human body and not be a utensil or device. 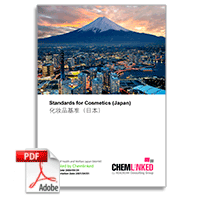 Prior to notifying or registering cosmetics or quasi drugs, two licenses (manufacturing license and marketing license) must be obtained from prefectural governments where the business offices (manufacturing facilities or subsidiaries) are located. Manufacturing license holders are permitted to manufacture cosmetics but shall not market cosmetics while marketing license holders are permitted to ship and to place cosmetics (including imported cosmetics) in the market. 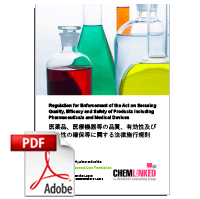 In addition to marketing license, importers who engage in the final packaging, labeling in the Japanese language or storage of the imported products are also required to obtain a manufacturing license. Furthermore, marketing license holders are required to assign a qualified general responsible person and comply with the Good Quality Practice (GQP) and a Good Vigilance Practice (GVP). Manufacturing license holders are required to assign a qualified general responsible person and comply with structure and facilities standard/GMP. The two notifications must either be accompanied by a list of full ingredients from the importer’s supplier or manufacturer or, if this list cannot be obtained, a record of the testing and inspection results confirming the product does not contain any prohibited ingredient combinations instead. For quasi drugs, manufactures/importers shall apply for marketing approval based on each product. Domestic manufacturers can submit the application to either MHLW or prefectural governments while importer can only submit to MHLW. In the meantime, importers are required to be accredited by the MHLW as an “Accredited Foreign Manufacturer”. 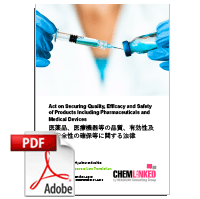 A Japanese marketing license holder who markets quasi drugs manufactured by a foreign manufacturer can make an accreditation application on the manufacturer’s behalf. Some “high risk” quasi drugs such as hair dyes, hair perm agents and bath agents are also subject to on-site and document- based inspections of domestic and foreign manufacturing sites (GMP inspections).